David Wood and Jon Haynes explore early onset psychoses and schizophrenia in their piece ‘The Eradication of Schizophrenia in Western Lapland’. The piece deals with a family in crisis over time, exploring the mother and son’s journey. 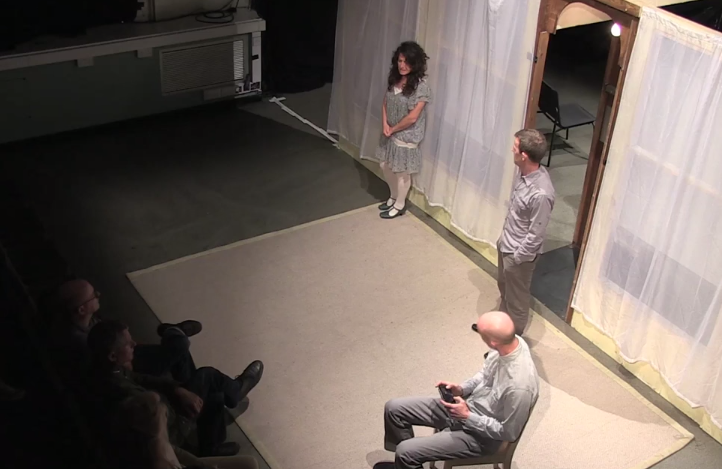 The audience are split in half by a central divide and so witness one half of the play, whilst hearing the other half performed at the same time, therefore providing a schizophrenic element to the performance. The Eradication of Schizophrenia in Western Lapland is on at 12.00, in the Dissection Room, Summerhall, until the 24th August 2014.